Join us this week as we welcome country music singer/songwriter, Jordan Rager. Hailing from Loganville,Georgia, to 18 year old Jordan Rager, music is his passion. He has recorded several of his own songs, such as "Natural Born Charm", "Man's Man", and "Don't Tell Mama" and all have received radio airplay. Jordan has many influences ranging from Jason Aldean, Brantley Gilbert, and Alan Jackson, to Skynyrd and ACDC, but country music is what he loves to sing. Jordan plays at bars, clubs, and festivals all over the state of Georgia, South Carolina, Tennessee, Florida, and Alabama. Jordan has his own band he performs with and he will do acoustic shows here and there too. Be on the look out for when JRB is near you, and come out and see the show! We will talk to Jordan about his upcoming schedule, get a behind the scenes look at his music, feature his latest songs, and ask him to share his message for the troops. 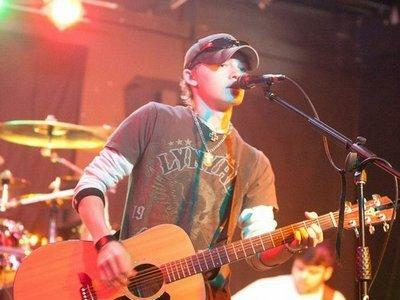 Please be sure to visit Jordan Rager at http://www.reverbnation.com/jordanrager and spread the word. Fans are welcome to call in and chat live with Jordan during the show. If you would like to participate in the live chat during the show, you must sign up on the show site first and then log in during the show. More great music for a really great cause! And as always we will give shout outs to our deployed military listeners. This is sure to be a terrific show so be sure to join us, Sunday August 26th 2012 at 4:00 PM EST! Our message to the troops....WE do what we do, because YOU do what you do.